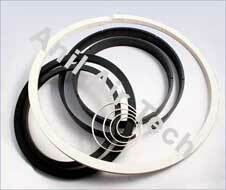 Available ready stock in various grades. 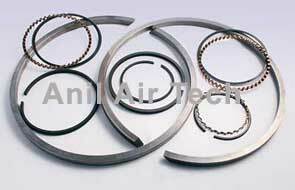 For lubricated compressor individual cast iron piston ring with 45 degree Angle cut / glass filled PTFE Piston ring available ex-stock. 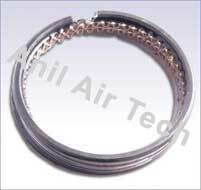 Our piston rings are having perfect roundness & spring tension as per the applications, customer’s requirement & long life. For Non lubricated unit Piston Rings & Wearing Rings (Guide Rings) are available with carbon filled PTFE, Bronze filled PTFE & thermoplastics. 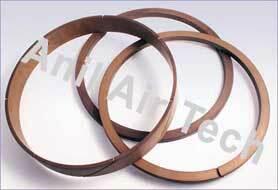 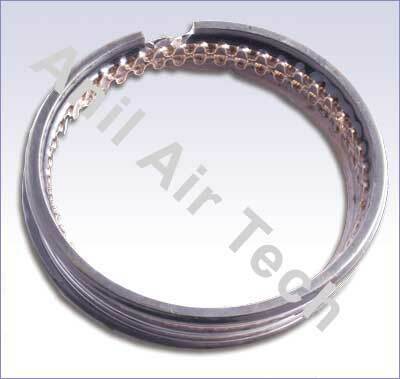 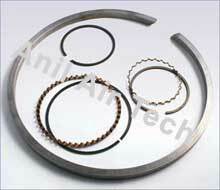 Unloader piston rings are also available in glass filled PTFE & Bronze Metallic rings. We supply any type of Piston Rings & Guide Rings with MOC cast iron, PTFE, thermoplastic in any size as per specifications ,drawings, sample provided by customer.